The Main Event of the Fourth Annual Five Star World Poker Classic at the Bellagio in Las Vegas has reached its penultimate day's end after six days of bluffs, raises and bad beats. The participants on the TV Table have been identified; six resilient poker warriors who will have made daring moves, outrageous bluffs and, almost certainly at some stage along the way, received one or two crucial slices of luck. Now, a gigantic cheque worth over $3,700,000 awaits one of them. 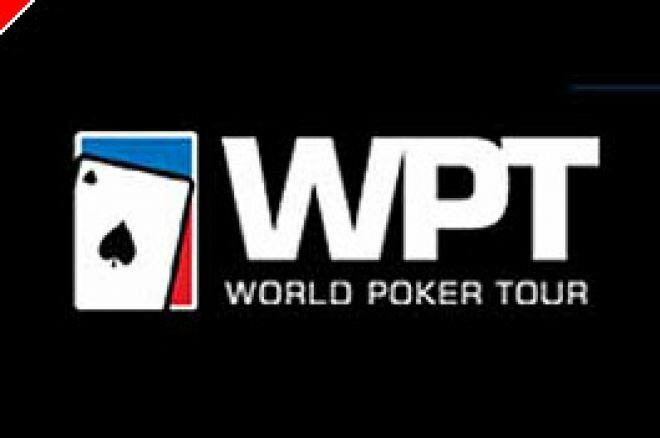 To add the cherry to the icing on the large cake, the winner will also receive a paid entry into next year's WPT Main Event at the Bellagio. All in all, it will be the culmination of a fine week's work. UK Poker News offers its congratulations to the two UK players - both previous WPT Main Event winners - who made it this far; Roland de Wolfe, WPT winner in Paris in 2005, was sitting comfortably in the slipstream of chip leader James Van Alstyne, whilst Surinder Sunar squeaked through to the sixth day with a mere handful of chips. Sunar is of course the talented war horse known to many through his regular appearances in Channel 4's seminal Late Night Poker series from a few years ago, and more recently by his exemplary coolness under fire from a prolonged rubdown by Tony G at the heads-up stage of the televised 2004 WPT Grand-Prix de Paris, an event that Sunar eventually won, netting him nearly &euro;700,000. To describe Sunar's current chip stack as short was to be disrespectful to the big blind. He would need a miraculous run of favourable cards to pull out of a crash at this low altitude. However, getting this far assured him of a handsome return on his $25,500 buy-in. This he duly collected after a short while. Another short stack of note was Finland's "wonderkid" Patrik Antonius, who has been burning up the poker circuit lately. He was doing the same in this tournament with ultra-aggressive play throughout. Sadly, for him, like all topgun pilots, flying close to the edge carries high risks and he took a big hit to the side losing a huge pot holding a pair of queens that failed to stand up in a showdown. Like Sunar, he would need to double up a couple of times without error. Like Sunar, he did recover some ground before crashing out with the better hand - better that is before the dealer put out the turn and river cards. That's poker! To show that a small stack can recover, Men "The Master" Nguyen, who started the day between Sunar and Antonius in the basement, multiplied his count to over 2,000,000 at one point with well-timed moves. It helps not to run into aces too often while doing this, but it was a good recovery nonetheless. The chip leader at the start of the day, James Van Alstyne, is an American with a long and successful record of tournament cashes stretching back to the WSOP series in 1994 where he made two final tables in Omaha Hi/Lo tournaments. He made another Omaha Hi/Lo WSOP final table in 1998 and then finished in a highly respectable 16th place in the 1999 WSOP No Limit Hold'em Main Event, which was the year the Irish took over the tournament with no less than three representatives of the Emerald Isle on the final table, George McKeever (7th), Padraig Parkinson (3rd) and the ultimate winner of the WSOP Main Event, Noel Furlong. By the day's end, the final six were known. James Van Alstyne came through in good shape and will enter the arena with a chip lead. There are four players with healthy stacks and two with relatively low positions, Nguyen, who could not have expected this at the day's dawning, and the UK's Roland de Wolfe. Very well done to Roland, who is guaranteed at least $292,000 for a sixth placed finish at worst. It is unlikely he is thinking in those terms though and we can sure he has his eye on the $3,760,000 at the top. With a couple of well-timed double-throughs, anything is possible, especially at a crazy WPT final table! UK Poker News thanks the Gutshot Club for the chip counts and occasional hand information. Ed note: Join the UK Poker News exclusive $3,000 Freeroll by downloading Pacific Poker here - there's not much time left!